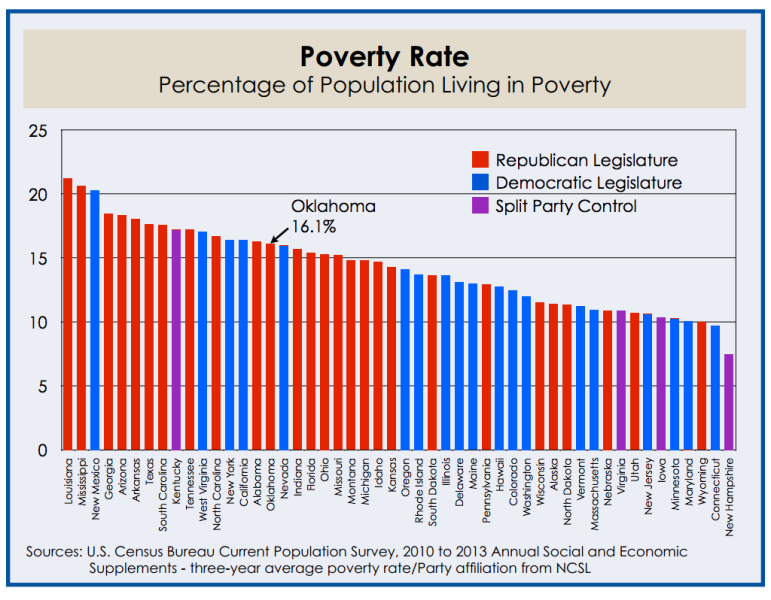 Oklahoma’s dependence on federal funds may be attributable in part to its higher-than-average poverty rate, according to a new analysis by State Treasurer Ken Miller’s office. Revisiting a subject that raised eyebrows at the Capitol a month ago, Miller’s analysis says socioeconomic factors may help explain why state government depends on Washington, D.C., to finance more than a third of its direct spending. Last month, Miller released an analysis indicating that about 43 cents of every dollar administered by state government came from the feds, the 7th highest rate in the nation. It was based on figures obtained from the Council of State Governments. On Friday, he released a second analysis based on a different set of statistics generated by the Census Bureau. It indicated about 36 cents of every dollar spent by the state comes from federal coffers, the 15th highest rate nationally. 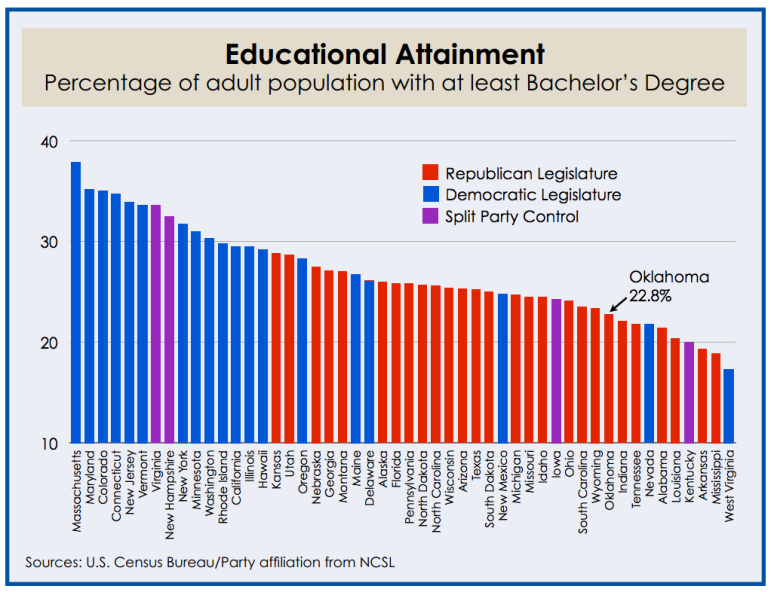 It was accompanied by charts showing that Oklahoma’s poverty rate is the nation’s 16th highest, and its rate of educational attainment 40th among the 50 states. Miller’s analysis also shows that states controlled by Republican legislatures tend to have higher poverty rates, lower education attainment and a greater dependence on federal funds than those controlled by Democrats.